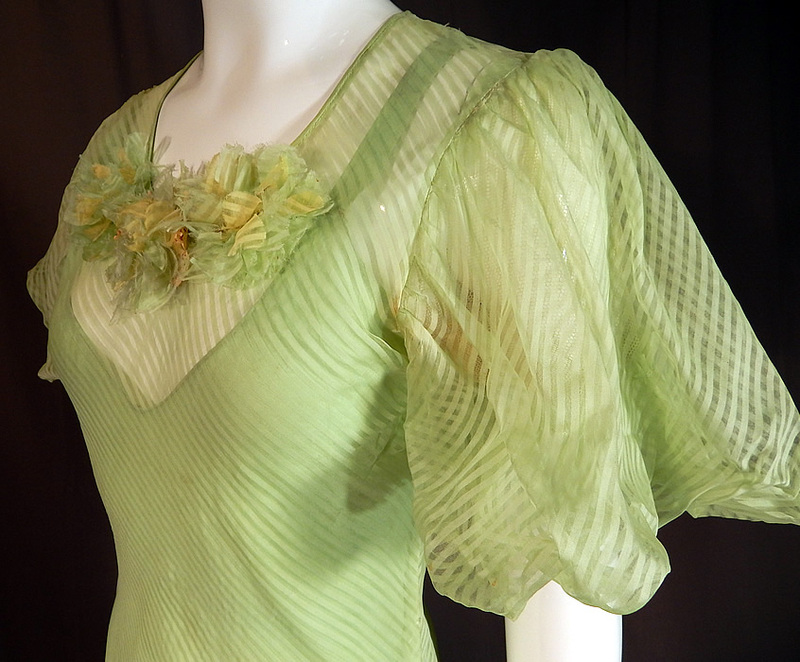 This vintage mint green striped silk flower puff sleeve bias cut maxi dress and slip dates from the 1930s. 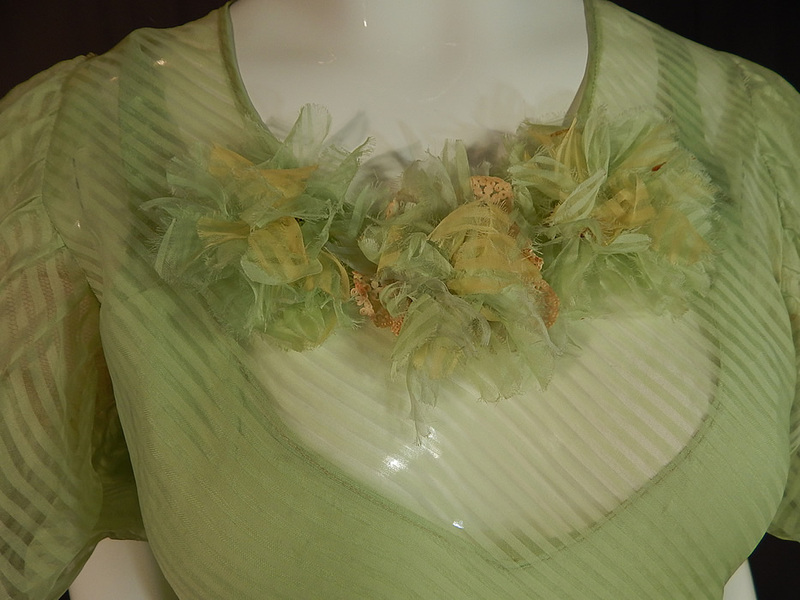 It is made of a pastel pistachio mint green color sheer striped silk fabric, with a matching fabric frayed silk flower, white lace trim on the front neckline. 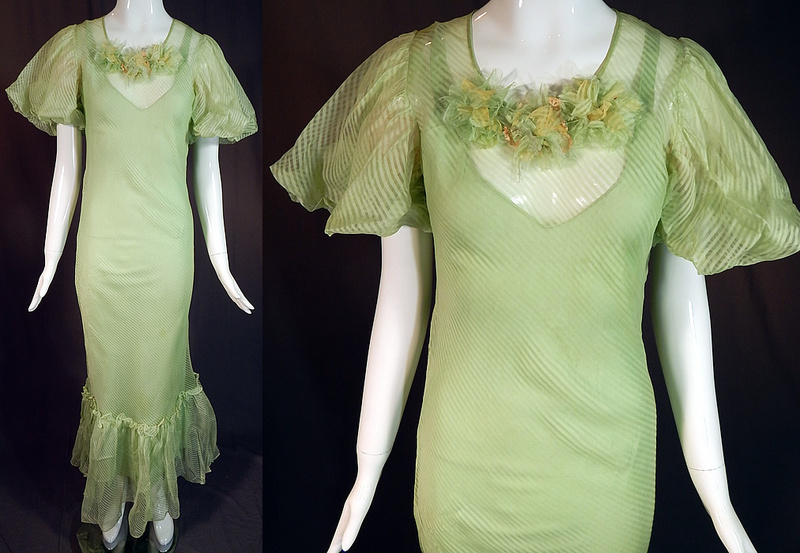 This gorgeous green garden party maxi dress has a form fitting bias cut style, is a long floor length with a flared ruffle bottom mermaid skirt, short puff sleeves, no side opening closure and is sheer, unlined. The dress measures 59 inches long, with a 36 inch bust, 28 inch waist, 40 inch hips and 14 inch back. 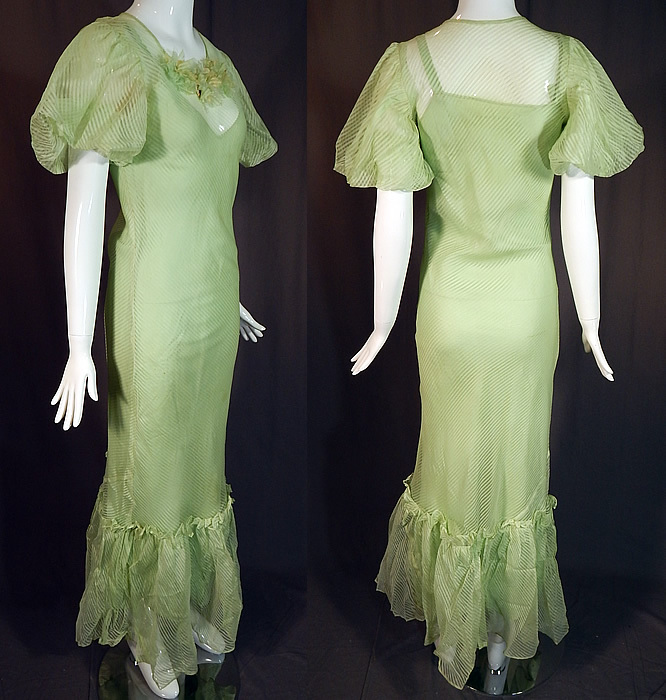 Included is a matching mint green silk slip which measures 56 inches long, with a 34 inch bust, 28 inch waist and 36 inch hips. 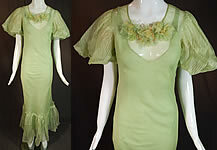 It is in good condition, but has not been laundered, with a few faint small stains on both the dress, flower trim, slip and some yellowing discoloration under the arms (see close-up). This is truly a wonderful piece of wearable art!